This time of year is always busy! I am always working on something to prepare for my many shows. My next show is one of my favorites! 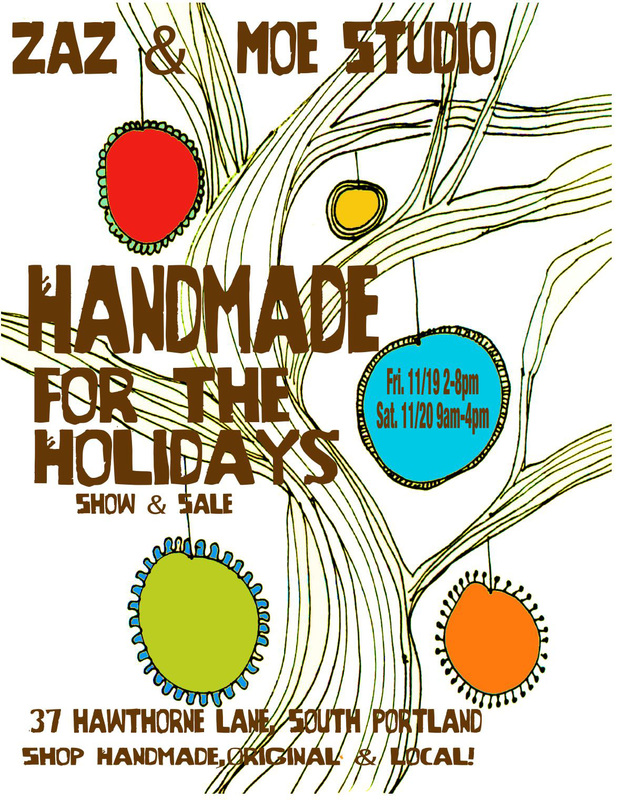 Zaz and Moe’s Open Studio: Handmade for the Holidays has grown over the last few years and looks to be bigger and better than ever! Many of the artists will be there so it is a great time to meet them! Hope to see you there! I will be there Friday night and my art will be there both days! (Saturday, I will be spending the day with my daughter who will be celebrating her 16th birthday). Hope you get a chance to check out this great event!